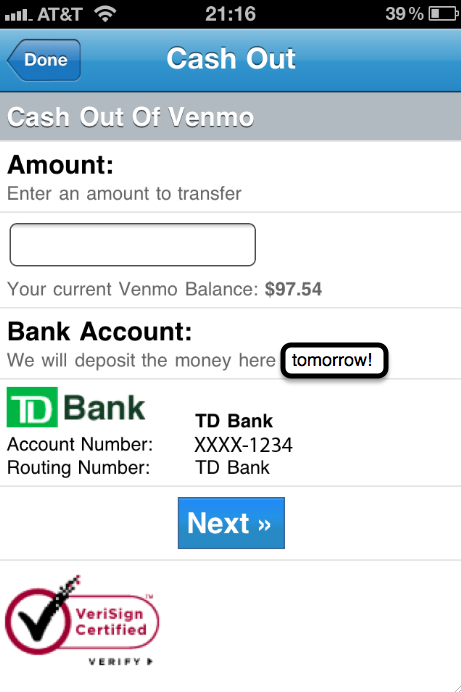 Today, we released an updated version of the Venmo iPhone app with some awesome new features. Ever give someone a fist-pound without locking it up? Just doesn’t feel right, does it? That’s why we added the new passcode lock feature. This feature lets you lock the Venmo app with a four-digit PIN in case your cat gets a hold of your iPhone. 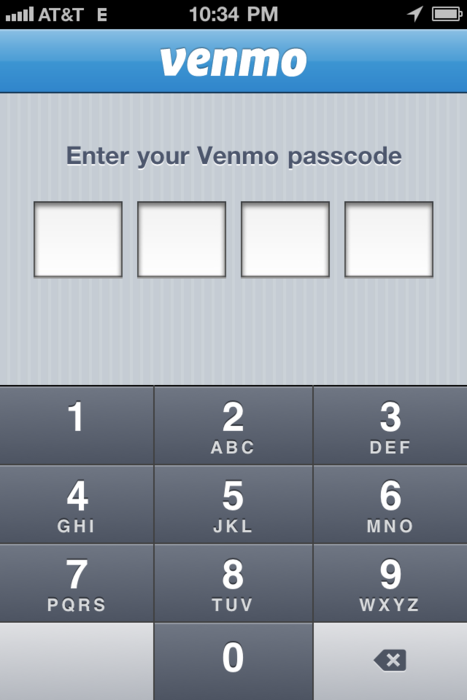 This was our most common feature request for the Venmo iPhone App, so thanks to everyone who asked for passcode lock for inspiring us! 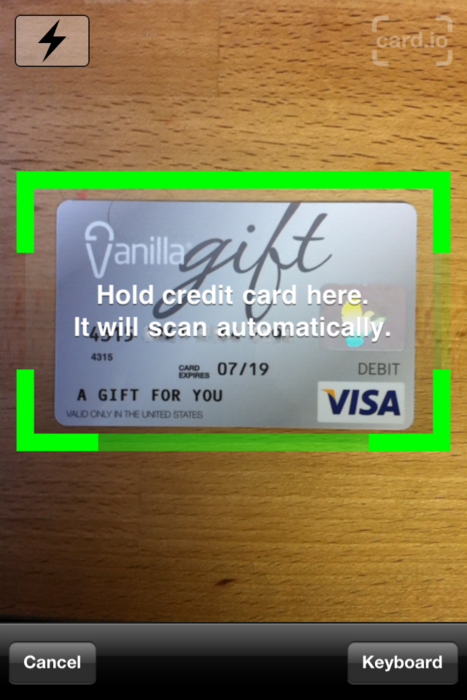 Snap a picture of your debit or credit card to add it to your account. To add a new card, tap Credit Cards in Settings, and tap the “+” button. 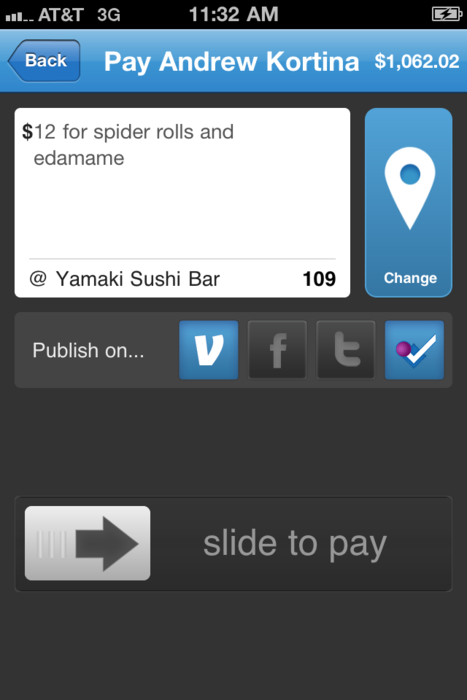 We made it even easier to share payments you make at places as Foursquare checkins with a simple checkbox. Try it out next time you split the dinner bill, and in addition to checking you in, we’ll keep track of how much you’re spending at your favorite places. Of course, we also fixed some issues and made some other enhancements, like the ability to manage your text & email notification settings. We hope you enjoy the latest version of the app! 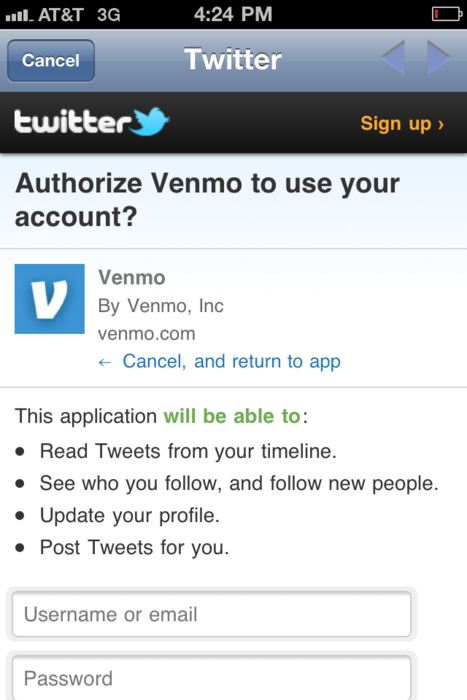 We just updated Venmo for iPhone with two killer new features. You no longer need to worry about visiting the website to withdraw money to your bank account. Just cash out directly from within the iPhone App! We added a new tab in the Payments section of the app where you can find a quick summary of your spending. 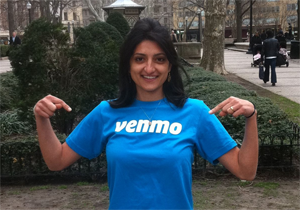 Tell us on Twitter or Facebook how much you have sent and received on Venmo this week or in total. Newest Release of Venmo Android App is Out! With this latest release, instead of subscribing to alerts for new payments and comments via SMS, you can now opt to have these notifications pushed directly to your device. Because your payments now integrate seamlessly with all of your other device notifications, you can jump straight to the comment thread and reply to a friend with a single tap on the alert about a new payment. This makes it incredibly easy to send a “thank you” or followup when someone pays you back. Give it a shot, and let us know what you think. p.s. If you love the new Venmo payment alert sound as much as we do, Tweet us!